Nick qualified from Birmingham University in 1998. 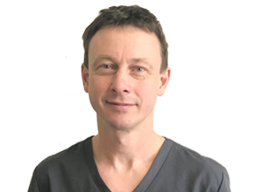 He has since worked in general practice in Birmingham and Leamington Spa for 19 years, and has also taught Oral Surgery at Birmingham Dental Hospital. He joined us in 2017 and now works in both the Stratford and Wellesbourne practices. Nick focuses on patient centred family dentistry and has also developed a special interest in helping to improve people’s denture wearing experience, by providing personalised removable dentures. He believes that creating bespoke, characterised dentures helps ensure patient dignity, and maintains ‘Denture privacy’ amongst those who have been unfortunate enough to loose any number of teeth. Outside of work Nick enjoys hiking, gardening, environmental conservation, and cricket. To see a complete schedule for all dentists & hygienists click here. © 2019 Langmans Dental Health Centres. All Rights Reserved. | Privacy Notice Site Last Updated: 12 April 2019 | Website Design & Video Production By FooCo Ltd.